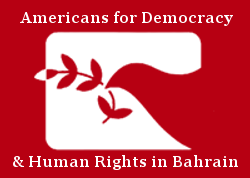 Americans for Democracy & Human Rights in Bahrain (ADHRB) is pleased to release Crushing Civil Society: Bahraini Government Reprisals for International Engagement, a report detailing how Bahrain’s authorities have worked to dismantle independent civil society and undermine substantive cooperation with the international human rights community. Mirroring the government’s two-pronged approach, it begins by analyzing the current set of restrictions on civil and political society space within the country, before examining the authorities’ eﬀorts to close all avenues for civil society engagement abroad. Specifically, the report highlights the growing trend of government reprisals – travel bans, incarceration, threats – against individual activists and their families since the violent suppression of Bahrain’s pro-democracy protest movement in 2011.See the introduction to the report below, and click here to read the full report. The Government of Bahrain imposes significant restrictions on the formation of independent civil society organizations (CSOs) and continues to undermine the free operation of these groups. Consistently, over more than a decade, the government has promulgated legislation designed to limit the ability of CSOs to maintain active membership, eﬀectively organize, and continue to function independently of the state. Bahraini authorities have also specifically targeted human rights defenders and members of human rights groups for judicial harassment and other forms of reprisal. In recent years, the authorities have particularly sought to prevent CSO engagement with the United Nations (UN) and to sever the connection between Bahraini civil society and the international human rights community. As Bahrain’s jails overﬂow with hundreds of political figures, journalists, religious leaders, and human rights activists, the government has gradually imprisoned the remainder within the confines of the country itself – holding them captive at the omnipresent threat of prosecution, torture, or worse. Moreover, as the authorities have eroded the space for domestic organizing or peaceful political activity, they have simultaneously attacked activist networks beyond the kingdom’s borders – revoking the citizenship of exiled human rights defenders, hacking their personal information, and targeting their family members that remain in Bahrain. The government has consistently used a combination of such methods to not only inhibit Bahraini civil society engagement with international institutions like those of the UN, but also to undermine the eﬃcacy of these same bodies. All told, the Government of Bahrain continues to demonstrate that its rhetorical commitment to UN human rights mechanisms is in bad faith. Though it is welcome news that the High Commissioner for Human Rights has been invited to visit Bahrain, history suggests this will be another superficial attempt to save face. The government has not permitted a single UN Special Procedures mandate holder to enter the country since 2006, and – perhaps in foreshadowing of what will come of the High Commissioner’s visit – it so repeatedly postponed the Special Rapporteur on Torture’s scheduled visit as to eﬀectively cancel it, prompting a public rebuke from the rapporteur himself. Americans for Democracy & Human Rights in Bahrain (ADHRB)’s new report, Crushing Civil Society: Bahraini Government Reprisals for International Engagement, shows how the authorities have worked to dismantle independent civil society and undermine substantive cooperation with the international human rights community. Mirroring the government’s two-pronged approach, it begins by analyzing the current set of restrictions on civil and political society space within the country, before examining the authorities’ concerted eﬀort to close all avenues for civil society engagement abroad. Specifically, the report highlights the growing trend of government reprisals – travel bans, incarceration, threats – against individual activists and their families since the violent suppression of Bahrain’s pro-democracy protest movement in 2011. Recent political developments in the country suggest that Bahrain is rapidly becoming an outright military or police state. With the right to free expression or association all but prohibited at home, Bahraini civil society often has nowhere to turn but the UN and the international community. This system cannot aﬀord to stand by as the Bahraini government ﬂouts its authority – even questioning its legitimacy – and attacks the global civil society networks that make it possible.